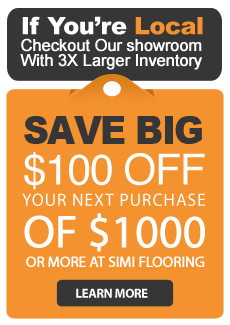 We want you to be happy with your purchase from SimiFlooring.com. You may exchange or return most merchandise less shipping charges within 7 days of purchase. All eligable returns incur a 25% restocking fee. Special orders and long distance shipments may incur additional charges. Call or email the store to get started. You’ll receive instructions. Carefully follow the instructions to remain eligible for your refund or exchange. Please, insure your package if possible. Ship the package or drop it off at the store. We'll process your return after we receive your package. If you provided an email address, we'll notify you via email when your exchange has been received and processed. Shipping charges for the returned item and for any replacement items will be charged to the customer's account.